ibd introduces a collection of six new glittering Just Gel Polish specialty shades so rich and dazzling, they fulfill secret fantasies for a life of luxury and sparkly new things. Created for those who dare to reveal their most sensual side, this lustful palette features 8 beautiful shades, ranging from innocent to seductive. 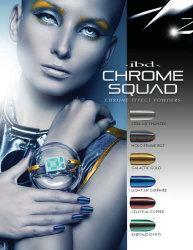 A reflection of the runway, ibd Chrome Squad, Chrome Effect Powders take Just Gel Polish in a new dimension of color, texture and mirror like shine. Applied over Just Gel Polish in Black Lava for optimal chrome effect. 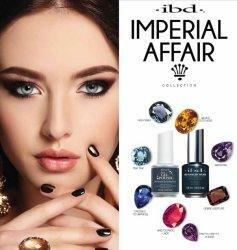 ibd introduces Imperial Affair, a strong yet feminine collection of regal shades. 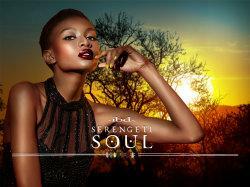 Rich hues in sophisticated jewel tones transcend time to transform you to a majestic state of mind. 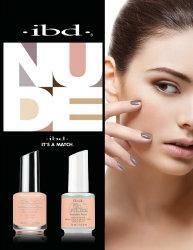 ibd introduces a stream of new and bold colors that transcend sunrise to sunset in high shimmers and serene shades. 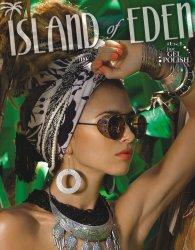 From the lush tropics, to the depths of the seas, hues of nature take you to a paradise that can only be described as the Island of Eden. 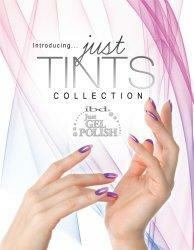 Four new sheer tint shades in ibd's high-performance Just Gel Polish formula. Wear any of the four shades alone for a translucent look or layer over any Just Gel Polish shade to create multiple looks and gradations. 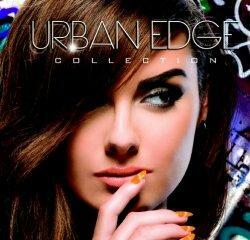 ibd introduces the Urban Edge collection for Winter 2015! Six edgy colors and two deco glitters. Six serene colors that transfer you to a place where nature and dreams collide and two unique deco glitters that add shimmering accents. 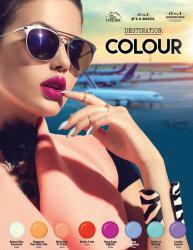 Six Italian Almalfi Coast inspired colors and two unique deco glitters that add gleaming accents. 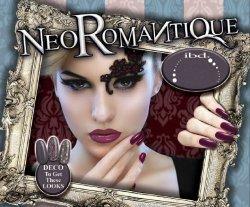 Neo Romantique, a new collection inspired by the artistic movement that celebrates positive elements of love, beauty of youth, nostalgia and fantasy. With inspiration from avant-garde fashions with a romantic feel while lace and silk fabrics meet buckles, garters, and ornate accessories for a powerful and elaborate statement, Neo Romantique exemplifies luxury and fantasy. This gel polish collection is inspired by folkloric and floral fashions combined with contrasting elements of soft and geometric lines that lend to a dynamic and cohesive collection of bright and dark hues. Inspired by high society life in the Hamptons, Social Lights exemplifies upper crust society at its finest with inspiration from prim and pampered socialites adorning high fashion, attending galas and chartering elaborate yachts. ibd Just Gel Polish introduces Mad About Mod Fringe Effects, a new collection inspired by the art, fashion, and attitude of the mod era. As mod-inspired fashion is making a comeback on the catwalk, groove vibes and hip geometric shapes are just some of the inspirations for ibd's collection of modish shades. 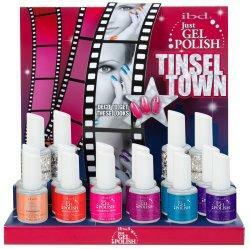 Tinseltown, a new collection inspired by the glitz of Hollywood. 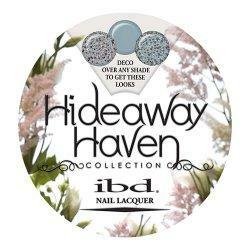 Glamorous lifestyle, camera ready fashions and movie magic are elements of Hollywood that fascinate the world and is the inspiration for ibd's collection of summer shades. Inspired by the mix of classic calligraphy art with 21st century avant garde graffiti. New from ibd, Just Gel Polish lasts chip-free for weeks, wears like a classic true gel, and applies smoothly like a polish for rich, more even color. Saves time - cures quickly under LED or UV light, performs with a high-gloss finish, protects natural nails with long-lasting wear, and removes easily in just 10 minutes. 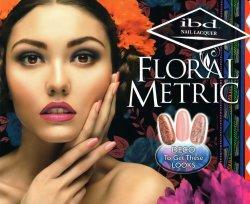 Treat your customers to a strong 100% pure gel formula.